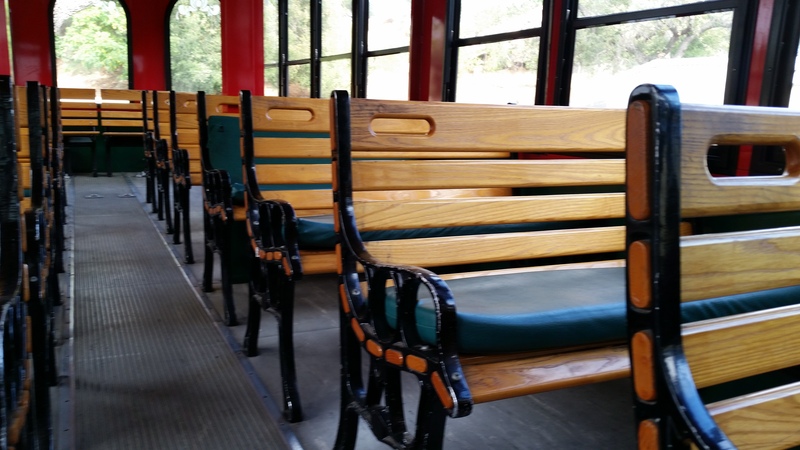 The weekday schedule runs 2 Trolleys and the weekend schedule runs only 1 Trolley. Please see schedule for details. Gold Coast Transit Bus route 16 provides service to downtown Ojai with stops at the Y, Blanche, Signal, and Park n’ Ride. 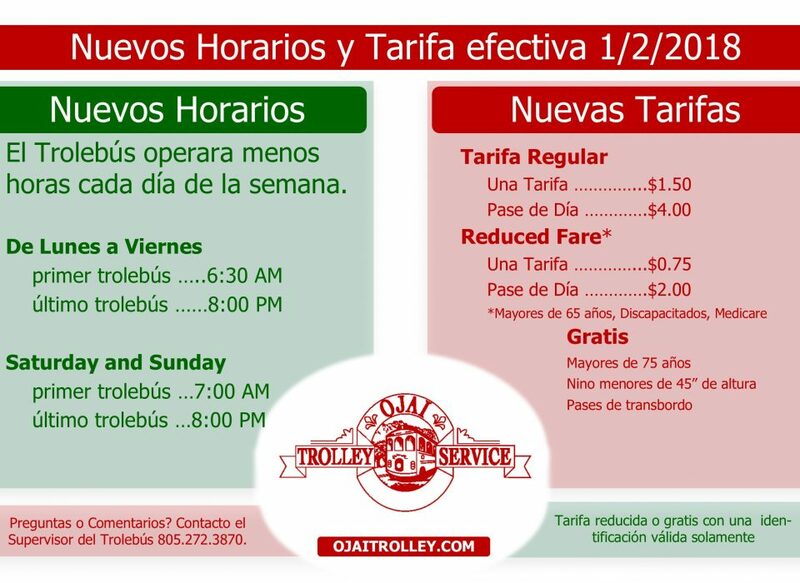 Click here to access the Current schedule on the Gold Cost Transit Website. ACCESS is origin-to-destination public transit for people with disabilities that prevent them from using fixed-route bus service. ACCESS serves the city of Ojai and unincorporated areas of Ventura County. 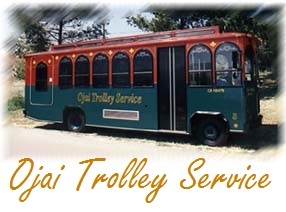 ACCESS provides service into and out of the Ojai Valley. For more information visit the Gold Coast ACCESS website or call (805) 485-2319. HELP Transportion provides service to seniors and the disabled making trips within the Ojai Valley. HELP’s transportation makes it possible for seniors and the disabled to continue to do their errands and socialize. For more information visit the HELP Transportation website or contact Glenda King, Transportation Coordinator, at (805) 646-5122. 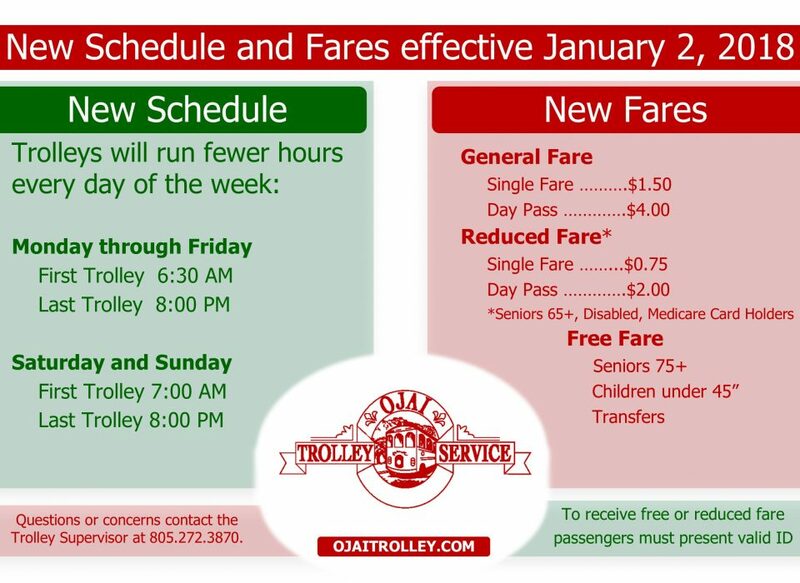 Questions about our service or other transit services in the Ojai Valley? Please, call (805) 272-3883.